John Milburn Price, B.S., A..M.., Th..M.., Ph..D.,LL.D. Litt.D. [1884-1976] known as a pioneer Religious Educator was the founder, director and first Dean of the School of Religious Education of Southwestern Baptist Theological Seminary, Fort Worth, TX. He served there from 1915 until his retirement in 1956. A visionary religious educator, pastor, and preacher for over 50 years and an early president of the American Association of Schools of Religious Education, he established the first doctoral program in religious education in 1919. Perhaps the best approach to understanding the legacy of J. M. Price is to simply list his accomplishments published upon retirement in the official organ of his seminary, The Southwestern News , May, 1958. Price was known as a man of many "first"
First school of Religious Education among Southern Baptists to be accredited (1951). One of the authors [Briggs] was privileged to have studied with Price including a doctoral dissertation on the Religious Education Philosophy of Price from 1955-1964. Much of Price’s concepts were revealed in personal interviews as well from his lecture notes and correspondence. Briggs renewed his close association with Price from 1971 until his death in 1976 while a faculty member at Southwestern. William A. Budd Smith co-writer of this article occupies the J. M. Price Chair of Religious Education at Southwestern. Clyde Merrill Maguire who wrote the book, J. M. Price, Portrait of a Pioneer , fittingly described him as "The Inimitable Price." This descriptor is appropriate and accurate. Price is best known for his imaginative curricula design that was developed during his tenure. Seldom has there been a Religious Educator, incidently he preferred the term Religious Educator rather than Christian educator, who has been as innovative and creative in the training of ministers for the church. Price was born in 1884, the youngest of eight children, in a log cabin near the community of Fair Dealing, Kentucky. It became more than the name of his birthplace; it became a way of life for him. When Price was born, he was unnamed and simply called "the baby." His mother took him to a worship service at Cap Springs School House where a traveling preacher, J. H. Milburn, brought an inspiring evangelistic message. His mother was converted that night and honored the preacher by giving his name to her small son. He was always called Milburn by the family. Price and was converted at the age of 14 at, as he described it, "the only time you could be converted, during the summer revival" (Price, 1963b). Two personal traits Price learned growing up in his home were courage from his father and tenacity from his mother. His father, John Powers Price, had fought in the battles of Shiloh and Vicksburg during the Civil War. Price described his father as a wonderful storyteller, and Price also became known as a great storyteller. In his later years of teaching, the students did not know whether his stories were true or from his imaginative mind. His mother, Elizabeth McCloud Price, was a women he described as an energetic mother and homemaker with incalculable energy. He enjoyed telling close friends that Southwestern’s President, L. R. Scarborough, once commented on the fact that Price had the same tenacity as his mother. He said that when Price came into his office to ask for something for the School of Religious Education, he might as well give it to him. Even if he turned him down, Price would sooner or later get what he wanted. Joe Davis Heacock told the writer that Price seemed to always know what was going on with the seminary trustees. His secret was that following the meetings, which were always held in Price Hall, the Dean would collect notes and handouts left in the room when the meetings were adjourned (Heacock, 1963). Price’s education began in a country school at Maple Springs, Kentucky, where he was awarded the common school diploma. He earned a B.S. degree in 1905 from Western Kentucky State College, which earlier had been called Southern Normal School, in Bowling Green; a B.A. degree from Baylor University; and an MA. degree from Brown University, where he was a Marston Scholar. While a student at Baylor, Price studied under a wide range of faculty, including B. H. Carroll, A. H. Newman, B. H. Dement, C. B. Williams, L. W. Doolan, and Calvin Goodspeed. He earned three degrees, the Th.M., Th.D., and the Ph.D., from Southern Baptist Theological Seminary of Louisville, Kentucky. He benefited from the instruction of faculty such as E. Y. Mullens, John R. Sampey, A. T. Robertson, W. J. McGlothlin, and W. O. Carver. Also, Baylor University conferred upon him the honorary LL.D. degree, and California Baptist College conferred upon him the honorary Litt.D. degree. Price’s educational career began teaching in a public school in Kentucky. He became the principal of a school at Marlow in "Indian Territory" (later Oklahoma). He later returned to Kentucky to the pastorate. He had also served as pastor while at Brown in Rhode Island. He was the first salaried associational worker in the South in the Blood River Baptist Association near his home in Kentucky. While still in Indian Territory, he met a student by the name of Mabel Faulk. Eleven years later July 11, 1916, after he became a member of the seminary faculty, they married. They had four children: one daughter, Mabel Elizabeth; and three sons, John Milburn Jr., Joseph Wayne, and James Otis. At Baylor, Price was strongly influenced by B. H. Carroll who had been teaching theology and Bible at Baylor since before Price was born. Carroll had organized the Baylor Theological Seminary, which later became Southwestern Baptist Theological Seminary, and relocated to Fort Worth, Texas, in 1910. While a Marston Scholar at Brown University, studying under Walter Athearn, Price caught the vision that he should train lay men and women to become Sunday school teachers. His dream was to popularize study of the Bible among the masses. He completed his theological education in less than three years in Louisville, Kentucky in 1915. That same year he was contacted by L. R. Scaborough, Southwestern Seminary’s newly elected president. The president wrote to Price, "It is now our purpose to establish a School of Christian Pedagogy. I think we have hold of the small end of a big proposition. We will have to do pioneer work and break new ground" (Price Collection letter from Scarborough, 1915). The "small end of a big proposition" was that the department consisted of one student. Heacock wrote, "Scarborough asked J. P. Price. to come by the way of the throne of God and organize the school" (1974, p. 84). Price was asked many times why he wanted to leave his home state and go so far away. He had just completed his Th.M. degree at Southern Seminary and had been invited to stay and work on his Th. D. Price’s reply was: "I had better get some experience first. I feel that a dog without a tail is better than a tail without a dog" (Heacock, 1975, p. 84). Price’s effectiveness was apparent and by 1921 the enrolment had increased to 121 students and the School of Religious Education was organized. Another dream of Price's was to have a building for the new school. With plans he had drawn he almost single-handedly raised the money for the cost of the building, but it took 23 years before a formal groundbreaking for the building took place on October 6, 1948. As earlier noted, Price was a churchman and even as director of the School of Religious Education in Fort Worth, Price was pastor of Webb Baptist Church in Webb, Texas. He gave the church 21 years of service, retiring from the church in 1949. He retired from the school in 1956 at the age of 71 after guiding the school he founded for 41 years. In retirement, Price taught at Hardin-Simmons University as a guest professor as well as at several other institutions. Price always remained a churchman, and even while retired he conducted leadership classes in 26 churches (Marsh, 1983, p. 63). Price presented this resolution to the Southern Baptist Convention in St. Louis in 1947. After discussion by W. R. White and John D. Freeman, it was adopted. After this action by the Convention, churches followed various policies in giving status to vocational workers in the fields of religious education and church music. Some churches licensed the workers; other congregations ordained them to the gospel ministry. The writings of Price were primarily an outgrowth of classroom teaching in religious education at Southwestern Seminary and of addresses delivered to Sunday school workers in churches and associational meetings, at Baptist state and Southern Baptist Assemblies and clinics. Most of his writings came under the designation of study course books. His first book, Christianity and Social Problems (1928) dealt with Christian aspects of society and was dedicated "to the memory of my father, my first and finest example of Christian citizenship." Under the auspices of the Association of Southern Baptist Teachers of Bible and Religious Education, Price, leading a committee of three, became the general editor of a series of small textbooks intended as introductory texts for colleges and seminaries. An Introduction to Religious Education (1932, 1946 revised) focused on a survey of the entire field of religious education. This was followed by the coauthored A Program of Religious Education (1937) in the field of administration and by A Survey of Religious Education (1940), which was focused almost exclusively to the educational work of the local church. The target group for these texts included pastors and educational directors as well as teachers in schools. Price's next book, Personal Factors in Character Building (1934), was a study course book for local church members. It was later revised and rewritten under the title Formative Factors in Christian Character (1959). This was a psychological approach to character building and met with instant and enthusiastic response. This was of great encouragement to Price as he, along with many of his colleagues, was suffering great financial hardship as a result of the Great Depression. At one point the seminary was a full year behind in salaries. It was at the beginning of the difficult and troubled World War II years that Price published Vital Problems in Christian Living (1942). This book considered physical, mental, moral, vocational, and social needs of Christians and was timely encouragement for local churches during a period of enormous change and conflict. The next year Price edited the book Baptist Leaders in Religious Education (1943). The Southern Baptist Convention was approaching its centennial year, and Price wanted to bring attention to 20 leaders who had envisioned a program of religious education. Ironically, he was not included in the group given tribute. The following year was another milestone in that Baylor University was celebrating its centennial. To mark the occasion, Price edited Ten Men from Baylor (1945), a book that focused attention on 10 former students of the university whom he regarded as notable examples of Christian citizenship. Five were ministers and five were laymen. Three years later, when Southwestern Seminary was celebrating its 40th anniversary, Price edited Southwestern Men and Their Messages (1948). This book was on the same order as his earlier work for Baylor University but differed in that short biographies or autobiographies of 12 men were given, followed by sermons, addresses, or articles from each. Once again he was not included in the group so recognized. The most notable of all of Price's writings is Jesus the Teacher (1946), a study of Jesus as master teacher and his methods. It has been translated into Spanish, Portuguese, Arabic, Indonesian, and Korean. Following his retirement from Southwestern, Price maintained an office in the building named for him. There he finished three more manuscripts. The first, Mastering Life's Problems (1958), he considered his finest writing. This psychological approach to problems of living had stirred his mind for some time. Also, as mentioned before, he did a revision of an earlier work under the title Formative Factors in Christian Character (1959). His final work, The Unfolding Life (1963a), was a life span study of individual development. Price’s focus centered on the laity. Most of Price's writings were not an attempt at scholarly presentations. Rather the purpose was to draw from life and teaching those principles that would give vision, motivation, and training to the rank and file of lay Sunday school teachers in the local church. Believing that Sunday school teachers were the greatest force in the church and that they worked under serious difficulties and discouragement, Price wrote tirelessly to their need for inspiration as well as information for their task of teaching. Most of his writings, therefore, were included in the Sunday School Training Course prepared by the Sunday School Department of the Sunday School Board (Southern Baptist Publishing House). The six sections of the course included studies in Bible, doctrines, evangelism, Sunday school leadership and administration, teaching, age group studies, and special studies. Lay leaders were awarded diplomas on the completion of a series of studies. When given the opportunity of starting a new department (which eventually became a school) of religious education at Southwestern, Price faced a great challenge. How does one chart the course? Price's greatest contribution to Southwestern and to religious education in general was not as a writer but rather as curriculum design architect for the school. Religious education is not a static subject. Christian educators and curriculum developers are forced continually to relate the Christian faith to a changing world. But how does one do that without losing all that is fundamental and orthodox to the Christian faith? Throughout history, and particularly in recent years, Christian educators have struggled with the debate between curriculum models that focus on fundamental, orthodox, subject-matter designs and those that focus on dynamic, active, process-oriented designs. Price was no stranger to this debate. In fact the era in which Price grew up and received his own education (both public and theological) was one of the most turbulent times for this debate within all educational circles. The struggle centered between two major contemporary theories of educational curriculum design: the traditional approach and the progressive approach. For the more traditional theories of educational thought, the preferred curriculum design focused on subject matter and emphasized formal methods of instruction, mental discipline, and mastery of certain basic content. The method took the form of conscious and deliberate transmission of the teacher's view of truth and reality to the pupil. This method was teacher-centered. Politically, this approach to education usually limited accessibility of education to the few who had the ability, time, and resources to master the content. In contrast to the traditionalists, the progressives were more concerned with the processes of learning than with subject matter, The progressives put the pupil at the focal point of education. They sought to develop a curriculum and teaching method that grew out of students' needs, interests, and initiatives, which led them to activity, experiences, and problem-solving undertakings. Progressivism became the dominant approach in American education from the turn of the century to the 1950s. Politically, it had an appeal for teaching the masses and preparing them for practical living. This approach, however, often emerged as weak in the mastery of content. There is always some injustice involved in putting a man such as Price into a school of thought. It too quickly identifies him with certain points of view that he might, in fact, repudiate. Therefore, I will in no way attempt to associate him with any particular philosophy or school of educational curriculum design. Rather I will attempt to show that in the context of Christian education he saw the necessity of blending both sides of the debate for the sake of theory and practice. This blending process, in fact, became one of his greatest contributions to Christian education in general and to the training of young men and women for the Christian ministry in particular. Because teaching is a moral enterprise, it requires the careful blending of both theory and practice. Theory without practice is insufficient; practice unguided by theory is aimless. Therefore, Price (1946) suggested that teaching has both a reflective and an active dimension as theory and practice are blended. Price labored tirelessly in the early years at Southwestern to fashion the curriculum of the new School of Religious Education in a way that would blend the mastery of content, reflected in academic excellence, with a practical approach that would result in application of ministry in the Christian faith. This would eventually tend to filter down in some way to every member of every Sunday school in every church in the Southern Baptist Convention. While retaining a strong commitment to high academic standards (reflected in the number of academic degrees behind his own name), he constantly emphasized in every book, public address, or class lecture the necessity of framing an application curriculum that would result in character development within learners. Summarizing Briggs's dissertation, Heacock (1974) said that Price "looks at religious education as a true light and not simply education coated with religion. He believes in religious education as a preparation for citizenship in the kingdom of God (p. 91). J. M. Price was a visionary leader whose goal was to equip men and women to share an unchanging gospel of Christ with a rapidly changing world. The School of Educational Ministries at Southwestern continues the legacy of that vision, including the blending of the traditional and the progressive in curriculum design and the blending of academic excellence and practical application in teaching. Starting with that one student in 1915, God gave Price a pioneering vision that looked down the corridor of time to see thousands of students from across America and from around the globe who would respond to God's calling to fulfill the Great Commission of Christ. These students would attend the oldest continuing school of religious education in the world to make preparations to meet the needs for their generation and the generations to come. Price died on 12 January 1976 at the age of 91 and was buried in Laurel Land Cemetery, Fort Worth. He was of slight physical build, a man only five feet eight inches tall, and was extremely proud of the fact that at one time he had finally tipped the scales at 150 pounds. Ralph Waldo Emerson once said, "An institution is the lengthened shadow of one man" (Smith, 2002, p. 67). The School of Religious Education is certainly a lengthened shadow of J. M. Price. He started it, developed it, and made it into a school recognized around the world. For a man short in stature, he certainly has cast a long shadow (Smith, 2002). Annual of the Southern Baptist Convention . (1942). p. 90. Annual of the Southern Baptist Convention . (1947). p. 40. Briggs, P. H. (1964). The religious education philosophy of J. M. Price . Unpublished doctoral dissertation, Southwestern Baptist Theological Seminary, Fort Worth, TX. Edge, F. B. (1956). Teaching for results . Nashville, TN: Broadman Press. Eldridge, D. (Ed.). (1995). The teaching ministry of the church . Nashville, TN: Broadman & Holman. Howse, W. L. (1959). The church staff and its work . Nashville, TN: Broadman Press. Heacock, J. D. (1974). J. M. Price: Trailblazer in religious education. Southwestern Journal of Theology , 17 (4), 83-94. Heacock, J. D. (1963, December). Personal interview with Philip Briggs. Maguire, C. M. (1960). J. M. Price: Portrait of a pioneer . Nashville, TN: Broadman Press. Marsh, L. (n.d.). J. M. Price: Pioneer in religious education. Southwestern Journal of Theology 25 (2), 61-75. Price, J. M. (1928). Christianity and social problems . Nashville: Sunday School Board of the Southern Baptist Convention. Price, J. M., Carpenter, L. L., & Chapman, J. H. (1932). Introduction to religious education . New York: The MacMillan Company. (Rev. ed., 1946). Price, J. M. (1934). Personal factors in character building . Nashville: Sunday School Board of the Southern Baptist Convention. Price, J. M., Carpenter, L. L., & Tibbs, A. E. (1937). A program of religious education . New York: Fleming H. Revell. Price, J. M., Chapman, J. H., Tibbs, A. E., & Carpenter, L. L. (1940). A survey of religious education . New York: The Ronald Press Company. Price, J. M. (1942). Vital problems in Christian living . Nashville: Sunday School Board of the Southern Baptist Convention. Price, J. M. (1943). Baptist leaders in religious education . Nashville: Broadman Press. Price, J. M. (1945). Ten men from Baylor . Kansas City, KS: Central Seminary Press. Price, J. M. (1946). Jesus the teacher . Nashville: Sunday School Board of the Southern Baptist Convention. Price, J. M. (1948). Southwestern men and their messages . Kansas City, KS: Central Seminary Press. Price, J. M. (1958). Mastering life’s problems . Nashville: Convention Press. Price, J. M. (1959). Formative factors in Christian character . Nashville: Convention Press. Price, J. M. (1963a). The unfolding life . Nashville: Convention Press. Price, J. M. (1963b, November). Personal interview with Philip Briggs. Scarborough, L. R., to J. M. Price, 12 March 1915, Price Collection, File 2554, Archives, Roberts Library, Southwestern Baptist Theological Seminary. Smith, W. (2002). John Milburn Price . In J. L. Garrett (Ed.). The legacy of Southwestern: Writings that shaped a tradition (pp. 59-69). North Richland Hills, TX: Smithfield Press. Price, J. M. (1919). The new birth: A psychological study . Unpublished doctoral dissertation, Southern Baptist Theological Seminary. 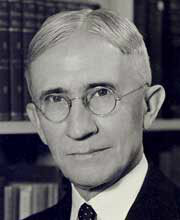 Price, J. M. (1930). The Catholic parish school in the United States . Unpublished doctoral dissertation, Southern Baptist Theological Seminary, 1930. Price, J. M. (Ed.) (1932). An introduction to religious education . NY: Macmillan. Price, J. M. (Coauth.). (1937). A program of religious education . NY: Fleming H. Revell. Price, J. M. (Ed.). (1943) Baptist leaders in religious education . Nashville: Broadman. Price, J. M. (Ed.). (1945). Ten men from Baylor . Kansas City, KS. : Central Seminary Press. Price, J. M. (Ed.). (1948). Southwestern men and their messages . Kansas City, KN. :Central Seminary Press. Price, J. M. (1958). Mastering life's problems . Nashville: Convention Press, 1958. Price, J. M. (1963). The unfolding life . Nashville: Convention Press. Price, J. M. (1914, February). Country church through the Sunday school. The Home Field , 14-16. Price, J. M. (1915, May). Two years after. The Home Field , 21-22. Price, J. M. (1917, October). After the revival, What? Southwestern Journal of Theology , 1, 83-85. Price, J. M. (1917, April). Religious education as a life work. Southwestern Journal of Theology , 55-57. Price, J. M. (1918, April). The next step in Christian education. Southwestern Journal of Theology 2, 54-57. Price, J. M. (1920, October). Baptists and education. Southwestern Journal of Theology , 4, 17-21. Price, J. M. (1920, October). Soul winning: Psychologically considered. Southwestern Journal of Theology , 4, 61-74. Price, J. M. (1929, February). Improving conditions in religious education. The Southwestern Evangel , 137-38. Price, J. M. (1931, July). An interpretation of religious education from a Southern Baptist point of view. The Southwestern Evangel , 297-300. Price, J. M. (1935, April). Christianity and childhood. The Baptist Training Union Magazine , 5, 11. Price, J. M. (1935, April). Save the rural churches… beginners need them. The Sunday School Builder , 35. Price, J. M. (1935, April). Some great Christian teachings. The Teacher , 3-4. Price, J. M. (1940, February). Trends in Christian education. Southern Baptist Home Missions , 14-15. Price, J. M. (1940, March). Making education Christian. Southern Baptist Home Missions , 8-9. Price, J. M. (1940, April). The present crisis. Biblical Recorder , 10, 7-9. Price, J. M. (1941, January). Leadership life: Convictions underlying religious education. The Teacher , 17, 64. Price, J. M. (1943, October). Where is the Bible? The Teacher , 7. Price, J. M. (1945, June). The educational task of a Baptist church. The Sunday School Builder , 8. Price, J. M. (1945, August). Christ's emphasis on teaching. The Sunday School Builder , 12. Price, J. M. (1945, November). Christ's purpose in teaching. The Sunday School Builder , 8. Price, J. M. (1946, February). Christ's use of the Scriptures in teaching. The Sunday School Builder , 15. Price, J. M. (1946, March). Underlying principles in Christ's teaching. The Sunday School Builder , 12. Price, J. M. (1946, May). Procedure in Christ's teaching. The Sunday School Builder , 19. Price, J. M. (1946, June). Christ's use of objects and dramatics. The Sunday School Builder , 15. Price, J. M. (1946, July). Christ's use of stories and lectures. The Sunday School Builder , 18. Price, J. M. (1946, August). Christ's use of question and discussion. The Sunday School Builder , 17. Price, J. M. (1946, October). Christ the ideal Teacher. The Sunday School Builder , 16. Price, J. M. (1950, October). The contribution of the Sunday school to missions. The Sunday School Builder , 17. Price, J. M. (1951, September). Divine power for teaching. The Baptist Training Union Magazine , 6-7. Price, J. M. (1953, October). Let's teach them, as we win them. The Sunday School Builder , 3. Price, J. M. (1956, August). Educational and spiritual power. The Baptist Training Union Magazine , 8-9. Price, J. M. (1958, February). Visual Aids in the Bible. Audio-VisuaI Aids , 1, 3, 6. Price, J. M. (1959, March). Method in Jesus' teaching. The Baptist Training Union Magazine , 4-5. Price, J. M. (1961, November 22). A double standard. Baptist Standard , 22, 8. Price, J. M. (1963, July 17). A penny saved. Baptist Standard , 9. Briggs, P. H. (1964). The religious education philosophy of J. M. Price . Unpublished doctoral dissertation, Southwestern Baptist Theological Seminary. Heacock, J. D. (1974, Fall). J. M. Price: Trailblazer in religious education. Southwestern Journal of Theology , 17, 83-94. Kathan, B. W. (Ed.). (1978, September-October). Six protestant pioneers of religious education: Liberal, moderate, conservative [Special issue]. Religious Education , 73, 138-50, esp. 143-45. Maguire, C. M. (1960). J. M. Price, portrait of a pioneer . Nashville: Broadman. Marsh, L. (1983, Spring). J. M. Price: Pioneer in religious education , 61-75. Below are listed the more significant offerings most of which are sound recordings both by J. M. Price and others about him. Chapel. (1965, November 2, 3). Price, J. M. 1884-1976 [Sound recording]. Chapel. (1963, February 6, 7). Price, J. M. 1884-1976 [Sound recording]. Chapel. (1961, December 6, 8). Price, J. M. 1884-1976 [Sound recording]. Price, J. M. (n.d.). A Survey of Religious Education (2nd ed.). Religious education [Sound recording]: Retrospect and prospect 1950, Price, J. M. 1884-1976. Dedication of Memorial building and J. M. Price Hall: midwinter conference Southwestern Baptist Theological Seminary. Baptist Leaders in Religious Education 1943 Price, J. M., 1884-1976. The New Birth : a psychological study 1919, Price, J. M. 1884-1976. Divine Supply for Human Need n.d. [sound recording] Price, J. M. 1884-1976. Baptist Answer to Current Issues n.d. [sound recording] Price, J. M. 1884-1976. Attitudes Toward Life n.d. [sound recording] Price, J. M. 1884-1976. Price, J. M. (1958). Mastering Life's Problems . Nashville: Convention Press. Personal Interview with Dr. Phil Briggs , 1963. Studying Hebrew with a reformed Jewish Rabbi, Greek from a liberal Episcopalian, and sociology from a materialistic evolutionist showed me the deadness of liberal thinking and religion, which in turn motivated me toward religious education for my career. Price, J. M. (1946). Jesus the Teacher (rev. ed.). Nashville: Convention Press. Nashville: Sunday School Board, Southern Baptist Convention, 1954). This has been Price’s most popular work. It has been published in at least four languages and used in schools and churches throughout the world. Price considered this the best book he wrote in retirement. Philip H. Briggs, (Ph.D., Southwestern Baptist Theological Seminary) is Distinguished Professor of Christian Education Emeritus in the School of Educational Ministries, Southwestern Baptist Theological Seminary, Fort Worth, Texas.William Budd Smith, (Ph.D., Southwestern Baptist Theological Seminary) serves as Senior Fellow in the Ministry and Formation Cluster at the B. H. Carroll Theological Institute in Arlington, TX.